Here is mention of Richard Westbrook and one of his many, lengthy bike rides. 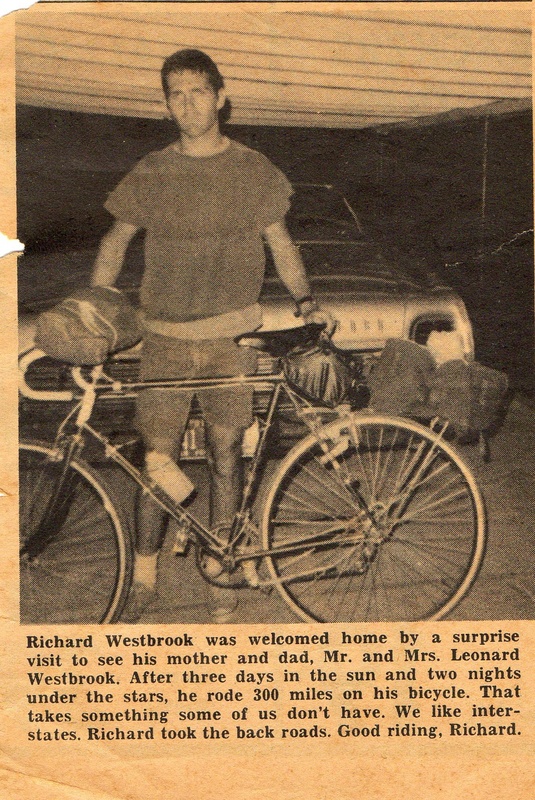 This was an excerpt from the Trion Times in Trion, Ga. On other occasions he has ridden from his home in Jonesboro, Ga to visit his older sister, Sylvia Bryan, in St. Petersburg, Fl at least twice. He has made the long ride alone, and once with is eldest son, Shane and a runner of his and friend of his son’s, Kevin Graham. Both trips, as with most, he would simply take along a small pack and camp along the way. I am sure there are many other trips to mention that I cannot recall. I will have to ask Dad about them and update this article a little later on, just wanted to go ahead and get it posted. We do apologize to everyone for the lack of any new posts. 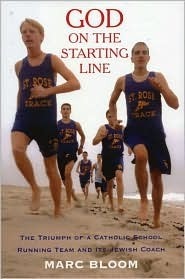 School has begun, yet again, and Coach Westbrook is back on track teaching and coaching his high school students. This will only delay his writing which will have to be done in his spare time, which he seems to have very little of during the academic year. He is currently finishing up his article on Vol State. In the meantime, I have decided to add a category or two. The first will be Blast from the Past consisting of any old newspaper articles I can dig up of races, long runs, or even long bike rides Richard has completed in the past. This will be interesting, maybe a little entertaining, and will go to show you just how long Westbrook has been truly dedicated to fitness and extreme running. Stay with us, we enjoy your support and interest.